Herbert Smith Freehills (HSF) has helped a European green-energy behemoth hurdle challenges to continue its work on Victoria’s largest solar farm. HSF advised Total Eren on the development of the 200MW first stage of the Kiamal Solar Farm located near Ouyen, about 100km south of Mildura. The plant is planned to add another 150MW of capacity in the future. Kiamal faced problems connecting to the grid. After Total Eren found solutions to those issues, The Hon Lily D’Ambrosio, Victorian minister for energy, environment and climate, announced yesterday the official start of project construction. The Australian Energy Market Operator previously warned that large-scale renewable energy projects in the area faced major connection issues as the network there does not have the resilience to accommodate power from the planned projects. Total Eren has committed to installing a synchronous condenser, a facility that can be used to provide system strength when needed, in order to connect Kiamal to the network. 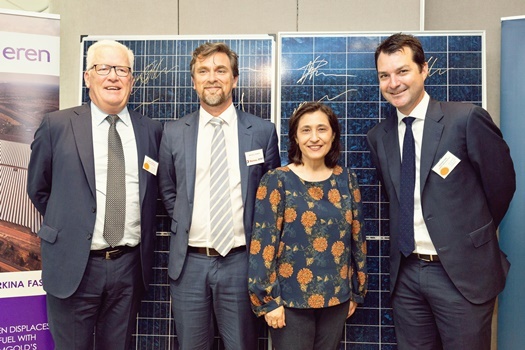 This is the first solar farm in Australia that will deploy the technology. HSF also said that the project has a unique offtake structure comprising pioneering power renewable purchase agreements that include long-term contracts with Alinta Energy, Flow Power, and Mars Australia. Pike was supported by partners Alison Dodd, Peter Davis, and Jon Evans, as well as senior associates David Ong and Nadine Kilpatrick.